The Regina Pats (10-0-3-0) carry a six game winning streak into Wednesday night against the Kootenay ICE (3-8-3-1). Puck drop is at 7 p.m. at the Brandt Centre. The Pats are coming off a 6-3 win Sunday, over the Seattle Thunderbirds on home ice. Kootenay is coming off a two game sweep of the Brandon Wheat Kings on the weekend by scores of 2-1 and 6-2. 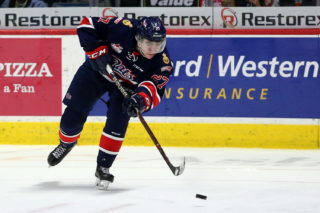 Tonight is the third of four meetings between the Pats and ICE, Regina is 1-0-1-0 in the first two matchups. Tonight’s game can be heard on 620 CKRM with Bennett Dunlop Ford Pats Hockey beginning with the pre-game show at 6:35 p.m. In front of a sold out crowd of 6484 at the Brandt Centre, the Regina Pats extended their win streak to six games with a 6-3 victory over the Seattle Thunderbirds on Sunday. 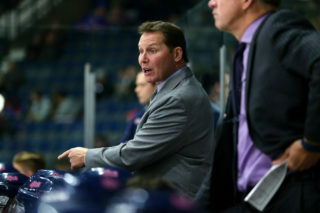 The Pats led 1-0 and 3-1 in the contest but the Thunderbirds powerplay scored three times and eventually tied the game early in the third. However, on a powerplay of their own, Adam Brooks scored the eventual game winner halfway through the final frame to make it 4-3. Regina added two empty netters in the final minutes and improved to 10-0-3-0 on the season. Dawson Leedahl led the offence with a goal and two assists while Adam Brooks, Lane Zablocki, Connor Hobbs and Sam Steel each had two point nights. Tyler Brown made 26 saves for his sixth win of the season. Pats defenceman Chase Harrison continues his offensive onslaught to start the 2016/17 season. The overager from Winnipeg extended his point streak to eight games on Sunday. In those contests, Harrison has scored once and added 10 assists. The eight games with at least a point is the longest streak in the WHL so far this season. In 13 games played, he has been kept off the score sheet just twice and is tied for second in team scoring with 16 points. Teammate Adam Brooks is tied for the second longest streak this year at seven games. The Toronto Maple Leafs prospect has at least a point in every game since he returned from pro-camp. Brooks has five goals and seven assists over that stretch. The Regina Pats have a stranglehold on the WHL leaderboard when it comes to plus/minus this year. The top five players are all on the Pats roster. Chase Harrison leads the league at plus 22 and is coming off a plus three performance against Seattle. Defenceman Sergey Zborovskiy is second at plus 20, forward Austin Wagner sits third at plus 15 and then Adam Brooks and Sam Steel are tied for fourth at plus 12 on the year. 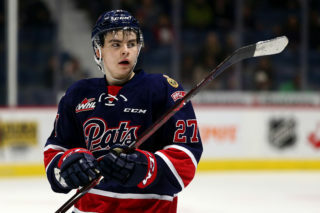 Defenceman Liam Schioler (plus 10) and forward Dawson Leedahl (plus nine) are also among the league leaders, giving the Pats seven of the top 10 spots in the WHL. The Pats used their light schedule to get healthy last week. Defenceman James Hilsendager returned to the lineup on Sunday after missing the previous five with an upper-body injury. 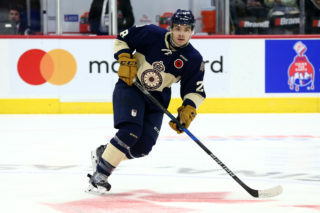 Sergey Zborovskiy also returned after missing one game and was a plus three with one assist. Brady Pouteau made his season debut Sunday as well after missing the first 12 games with an injury he suffered in the pre-season. 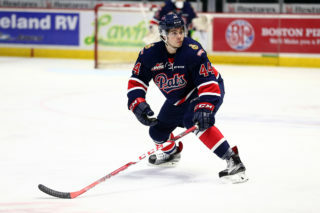 Pats Vs Saskatoon – Friday November 4th, 7 p.m. – Brandt Centre (CKRM). Pats @ Moose Jaw – Thursday November 10th, 7 p.m. – Mosaic Place (CKRM). Pats Vs Red Deer – Sunday October 13th, 4 p.m. – Brandt Centre (CKRM).